White and grey colors are still dominating the kitchen and bath remodeling market as consumers look to create light, bright and clean areas in their homes. In response to this there have been many different options introduced for countertop surfaces. Many consumers like the bright light look of marble but are not interested in the regular maintenance that is required to maintain marble surfaces. Natural quartzite is a material that bridges the gap between the durability of granite and the bright, clear look of marble. 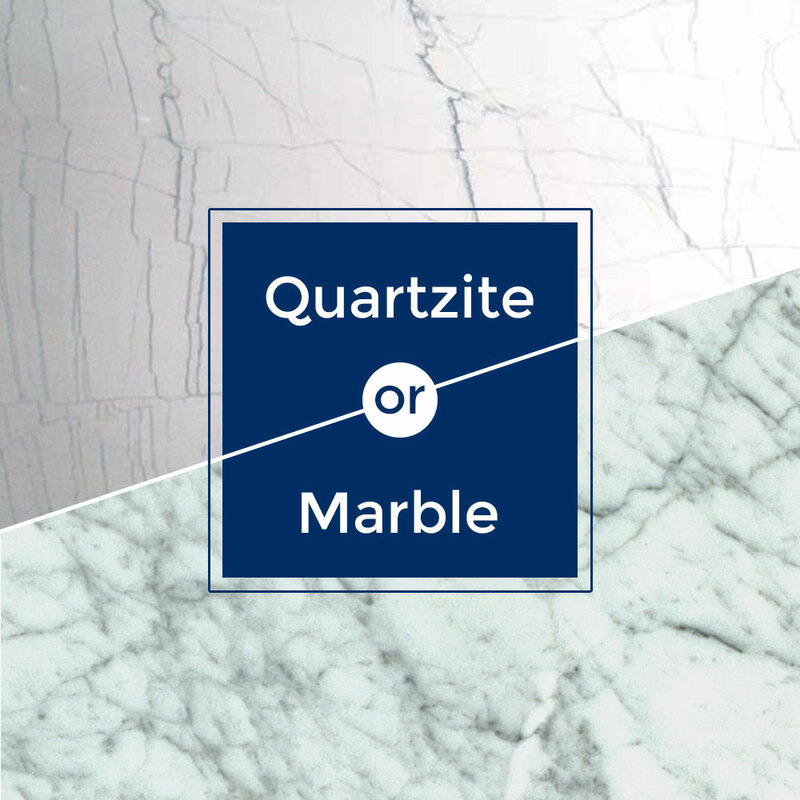 There is a great deal of confusion about what a quartzite really is. Quartzite is a derivative of sandstone. Sandstone is composed of small grains of quartz sand. When sandstone is exposed to heat and pressure it fuses together to form a dense, hard solid called quartzite. It is typically white in nature but can have other coloration due to other minerals that encounter it over time. True quartzite is very hard and resistant to acids. Quartzite is more expensive than most marble and granite. This may be attributed to the availability of the material in nature. If it is white and bright and looks like marble, but has the durability of granite the price will naturally rise due to demand. Also, quartzite is very dense and hard. It tends to disrupt the condition of the diamond tooling used to fabricate the slabs as well as slow the process down considerably. The time that it takes to quarry the block, cut and fabricate the slabs and finally process into countertops is increased considerably. Many slab suppliers and fabricators have been selling slabs as quartzite, but they are not as durable as a true quartzite. To imply that the material is more durable than a marble they may call it a “soft quartzite”. This is a misleading term that only serves to confuse consumers. Colors like Super White, Fantasy Brown and Donna Sondra have been sold as soft quartzites or hard marble. If you apply a drop of vinegar to these materials at some point the material will etch. The acids in the vinegar react with the calcite in the stone. In effect the acids eat away at that part of the stone and leaves dull or “etched’ spots. Stones like these may react slower or with less volatility than the reaction you may get with White Carrara marble, but the reaction occurs just the same. If you talk yourself into purchasing one of these stones thinking that you will be very clean and careful, and the counters will always look like new, I would suspect at some point in time you will be disappointed with the results. We fabricate countertops from marble as a smaller percentage of our business. Usually we will hone marbles like White Carrara. We have fabricated the Fantasy Brown in honed and leather finish. These finishes can be applied in house per job. If you were to etch a polished marble after it is installed it is highly unlikely that a homeowner will have success resurfacing the tops. Hiring a professional to resurface the material will be a cost prohibitive option in most cases. If the material is honed or leather finished the home owner could maintain a uniform finish over time. Cincinnati StoneWorks can review samples with you in our showroom that will show exactly how these products will perform. This is a big part of the selection process when designing your kitchen or bath. It is imperative that you understand what you are purchasing and what to expect with proper care over time.